Pre Fuego y Agua 2013 newsletter. Race day is almost here and the anticipation is building! Race Directors are on location getting everything prepared for the largest, most exciting Fuego y Agua event ever! From the first ever application-only 70km+ Survival Run Obstacle Course race to a stacked field of elites in the 100km, this year will be full of exciting competition and new experiences. Many runners who participated in the 25km last year are attempting the 50km this year, this is an amazing goal and we will do our best to make sure they get to the finish line! Coverage for this year’s event will be both national and international. This week Race Directors Josue and Paula go on several Nicaraguan TV programs to promote the event. 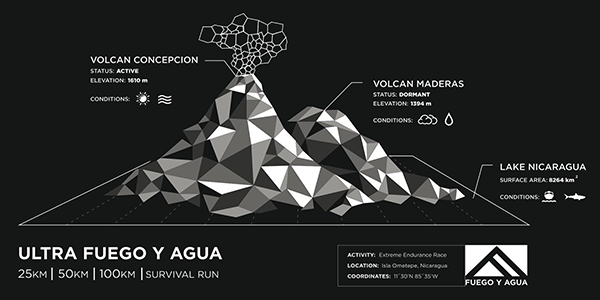 iRunFar.com, TrailRunner Magazine, a Canadian TV program and other Podcast, TV programs and Blogs will be covering Fuego y Agua 2013. Thanks to FedEx, Soles4Souls, RunSandraRun, Marathon Kids and our amazing runners, we have enough shoes, shirts and medals for over 600 kids to participate in the Calzado Kids Run this year! 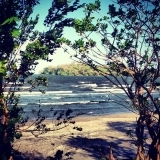 Our runners and volunteers will run alongside the children of Ometepe on February 17th, the day after the ultramarathons. 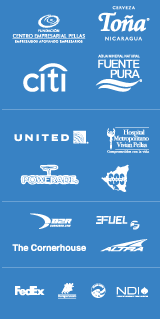 We would like to say a special thank you to all of your sponsors for their part in making this event possible. Our sponsors have helped us with many items including, water for the race, beer post-race, flight discounts, race nutrition, race prizes, advertising/marketing and more. 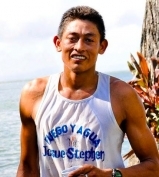 Johnson Cruz, Isla Ometepe’s own ultrarunner and 2-time Fuego y Agua 50km champion, is training hard for the upcoming Survival Run. This will be his first obstacle course event and his longest race to date, but he says he is ready.